The new chicks are still in the house. They are starting to make quite a smell and will be sent out to the barn soon. Sadie was “Merida” the princess from brave for Halloween. We were able to meet all the neighbors tonight. Our neighborhood isn’t very large but every house had lights on even though there is only one other family with kids. 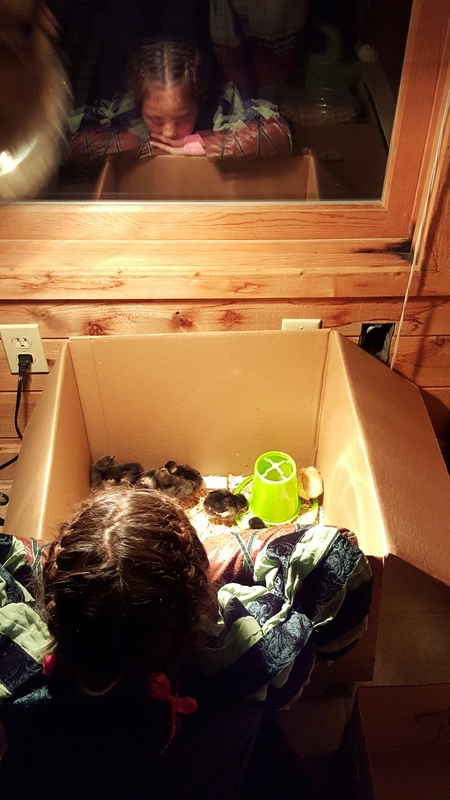 Sadie saying good night to the baby chicks.